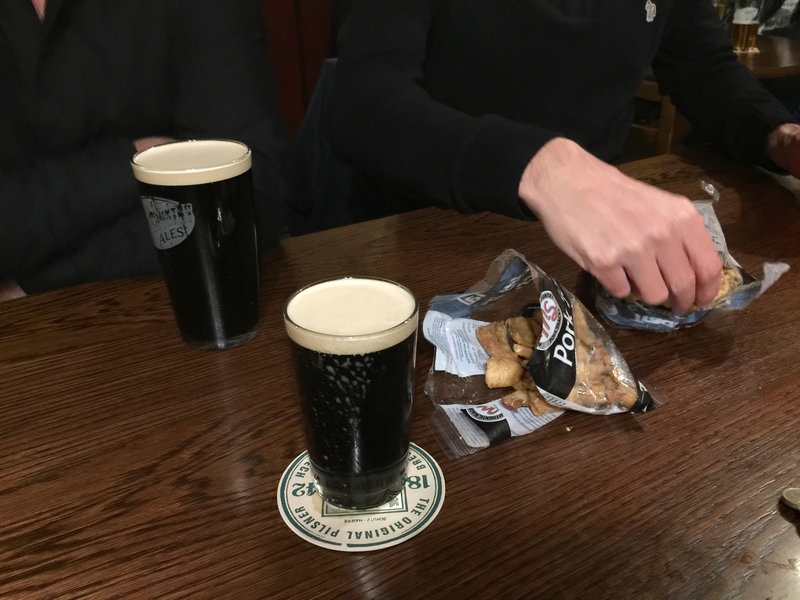 Stealing a line from Bill Shakespeare, ‘The world is our oyster’ I muttered over the phone to wench 2 and chap, while trying to establish our Saturday evening Black Country boozing plans. Bloke had helpfully penned some tour options in a mid-week email (I should post these as they’re really good), but being afraid of drizzle we decided to stay relatively close to home and, more importantly, to an end-of-the-night-curry. So, when the world’s your oyster, where do you head? Wordsley of course. 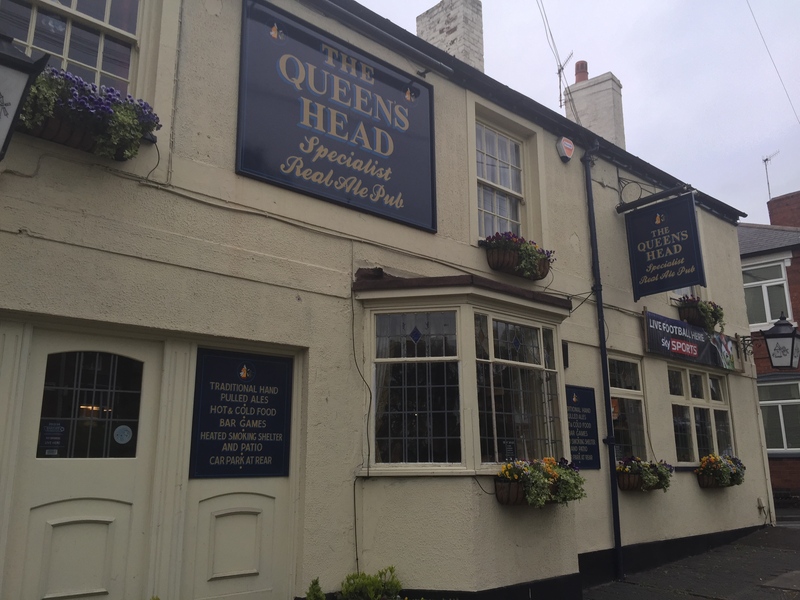 We started at The Queen’s Head on the High Street which is a newly refurbished Black Country Ales pub. This spacious but cosy ale house has real fires as warm as its welcome. 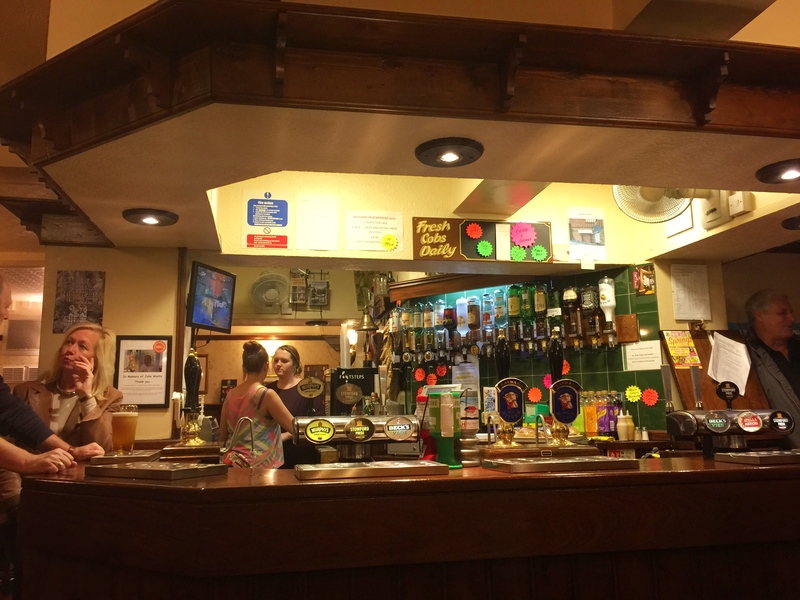 A very friendly landlady and bar wench served us our first tipples: the wenches and bloke remaining loyal to Black Country Ales with Pig on the Wall and Fireside, while chap downed Hop Monster (Exit 33). Wench 2 was particularly drawn to the guard dogs. 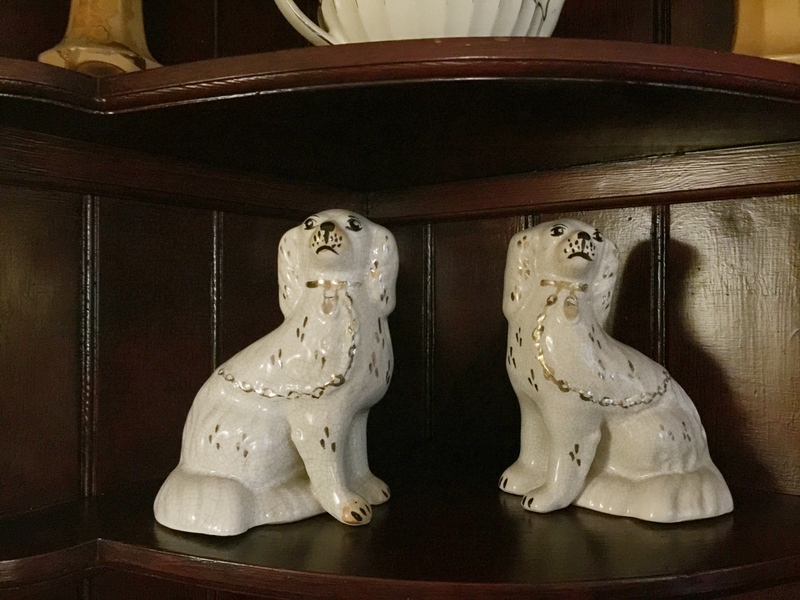 Fearsome creatures watching our every move. Bloke and I managed to evade them when fetching the Black Country scratchings. And, whilst we’re on the subject of canines, bloke and I enjoyed Old Growler (Nethergate) with our scratchings. Chap and wench 2 opted for another beverage, but I was too busy laughing at Old Growler to care. This prompted much discussion of why I was laughing and general confusion on wench 2’s face. Poor bab. 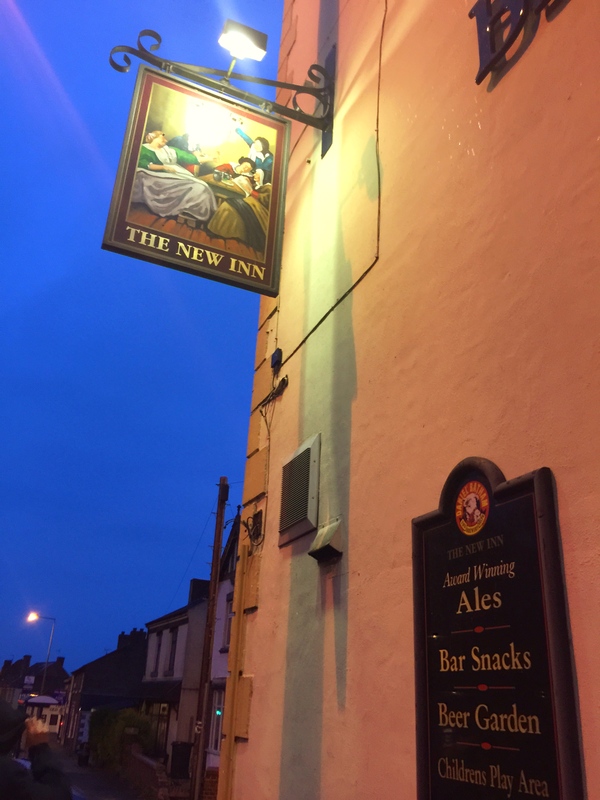 The Queen’s Head has a good selection of real ales on sale and I really enjoyed this ale house, but the wench’s mission involves pushing herself out of the cosy corner and onto the next…which was The New Inn, a Bathams pub on the High Street, a short stroll from The Queen’s Head. As we passed I spied what looks like a decent sized patio and beer garden outside, but as we were still afraid of the drizzle it was definitely an inside ale for us. 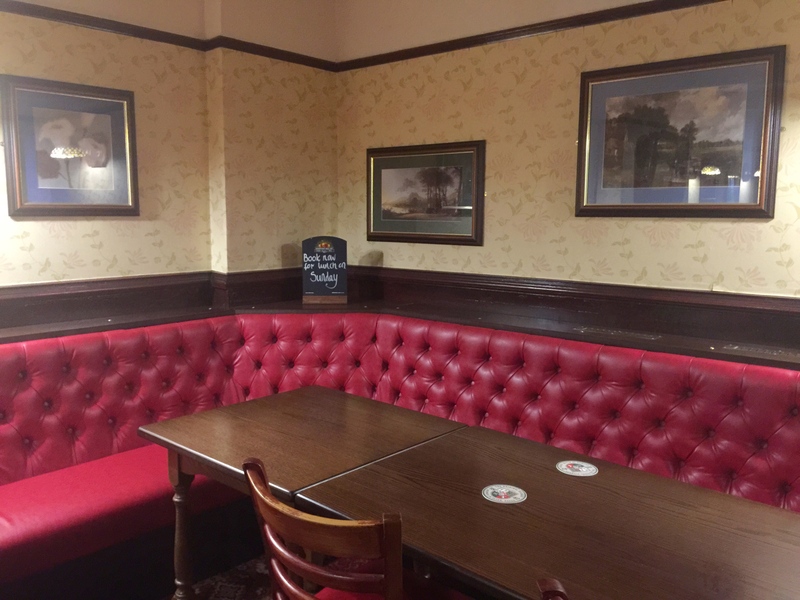 I liked the New Inn’s open, L-shaped bar which serves the room. Despite the photograph which suggests otherwise (snapped at an opportune moment!) 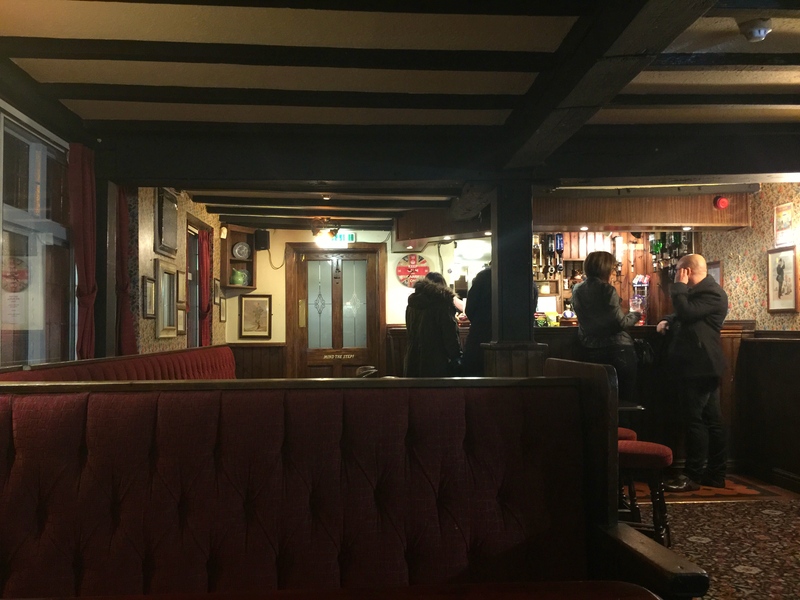 the pub was very busy, with a lot of regulars and a chatty atmosphere. We squeezed ourselves around a small table almost on top of the fireplace to enjoy our…Bathams of course! Yow cor go wrong with a pint of beautiful Bathams and it was bostin! 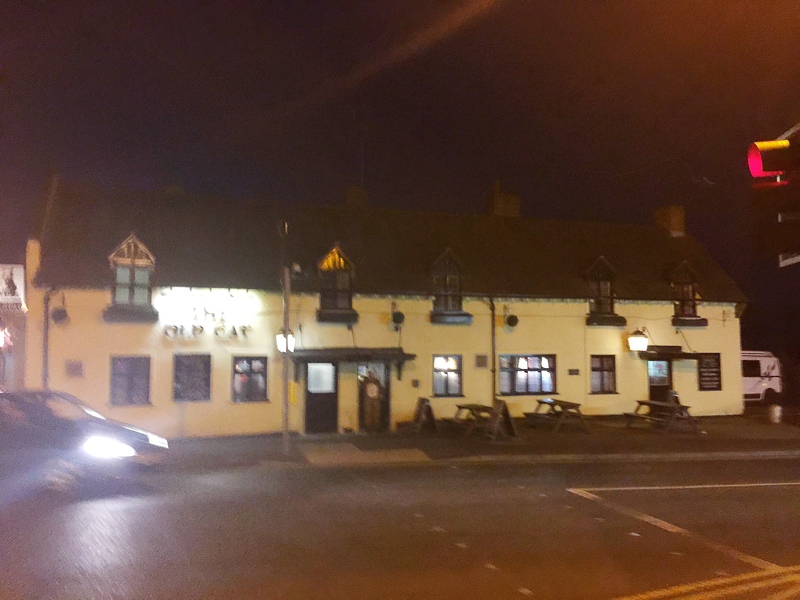 Onward we went to The Old Cat, where, low and behold, a man dressed as a cat was waiting for us in the doorway. Only in the Black Country. As we walked in I spied the little ‘window to the raffle’. It looks like an ‘outdoor window’ where, many years ago, you’d have bought your beer to take home. 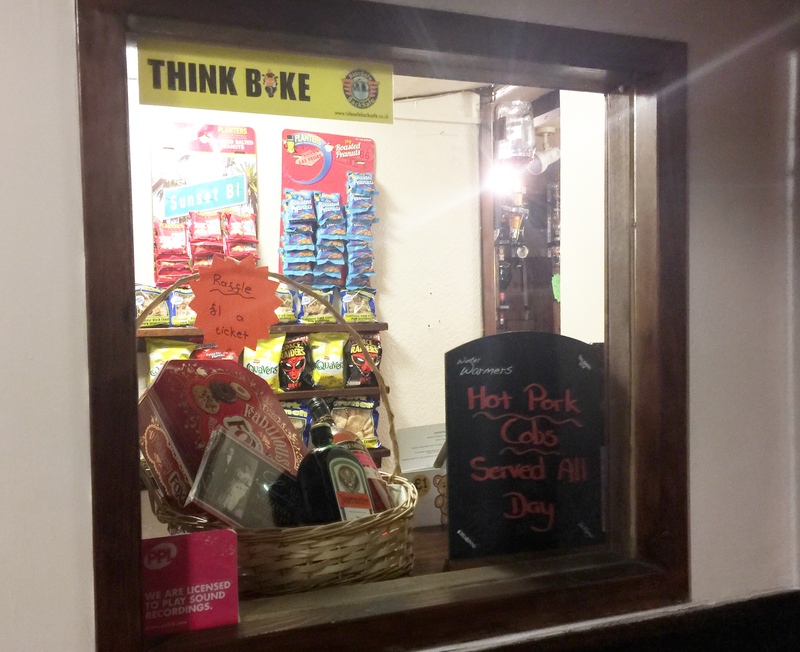 I have fond memories of accompanying my grandparents to such a window in their local ale house in Sedgley, Dudley. And that raffle, well it looks like a party night in a basket doesn’t it? 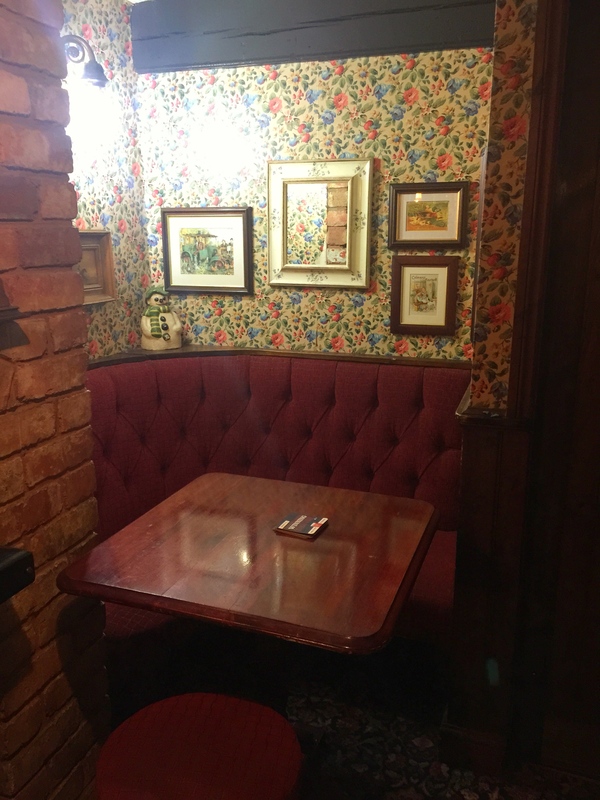 Now, I’m quite partial to a bit of chintz wallpaper and a booth, and I was pleasantly surprised by The Cat’s efforts in this area. If you have kiddywinks there’s a large family room with tons of toys (just off to the side of this picture), but I wasn’t quite drunk enough to abuse the playmat. I was, however, particularly excited by this romantic little nook. 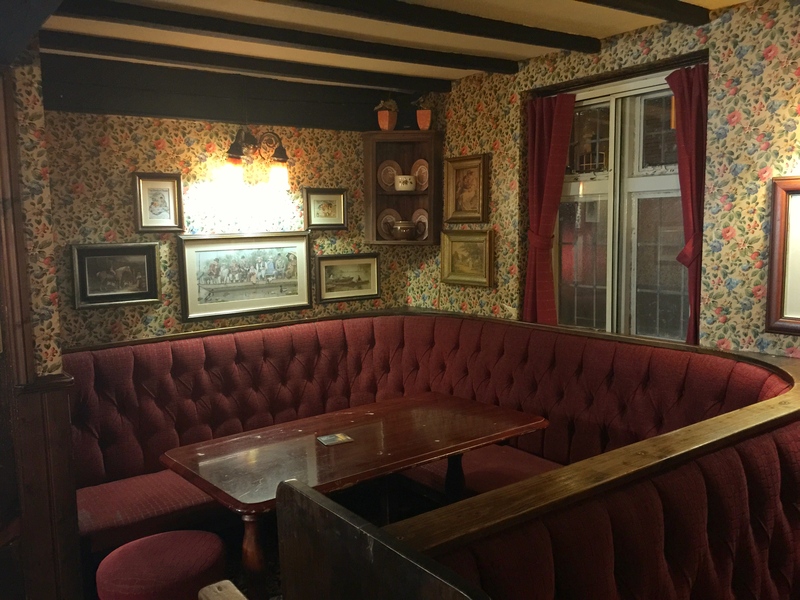 I reckon you could bring your special wench or chap to this cosy corner and hold hands, with nothing but the ‘it’s always Christmas here snowman’ as gooseberry. We soon understood that the quietness of this room was balanced by the charity night party going on in the room next door (hence the man dressed as a cat). We thought about joining, but when we heard a Black Country mon destroying Blur’s Parklife on the karaoke, we realised we were safer with the snowman. We all enjoyed Hobgoblin (Wychwood) as our tipple, and chap and bloke popped to the outdoor for beer, before heading down to the glamorous-sounding Crystal Balti. 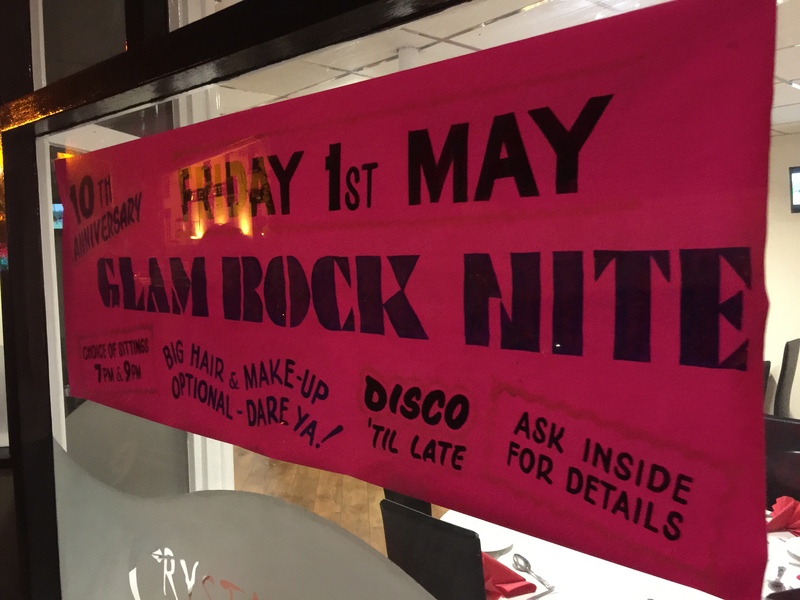 We weren’t quite sure if it was disappointment or relief we felt that we were one day late for ‘glam rock nite’! There was definitely some sort of party going on in wench 2’s rice and we were all worried that she’d be bouncing off the walls later on. I’ve also never drunk beer (Cobra) out of a wine glass before, but there’s a first time for everything. Wench 2 and I seemed to have the hottest curries we’ve ever experienced (heat not spice) and it took some blowing to calm the nuclear heat. However, it was tasty curry and generous portion sizes, including a nan that could double as a blanket. Full of beer and curry we made our merry way to chez bloke to continue drinking, minus the wine glasses and slightly creepy snowman. Until next time…make sure you watch out for the Old Growler. p.s. 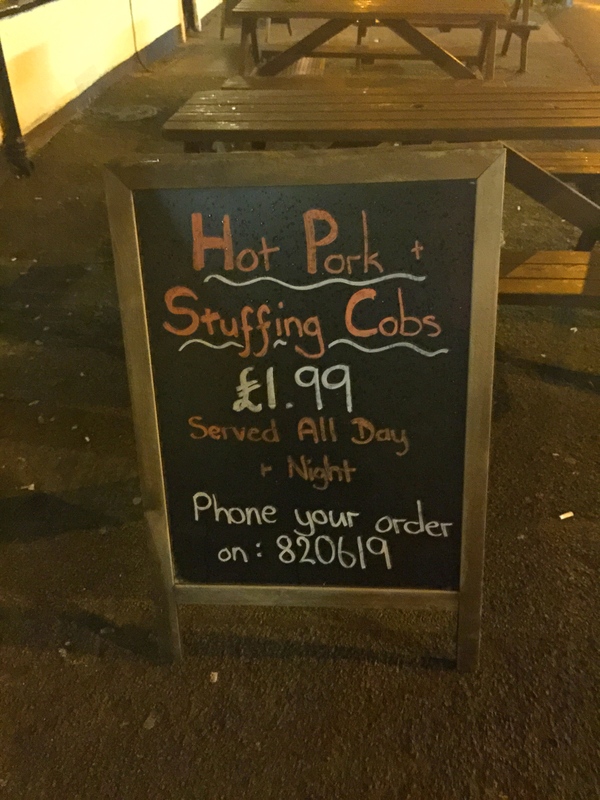 If you’re after hot pork and a good stuffing, The Old Cat can sort you out all day and night!